Are you bothered by the amount of useless mail order catalogs and junk mail you receive daily? What percent of your mail is junk, @80%? In 2013, the US Post Office delivered 158.4 billion pieces of mail, generated $67.3 billion revenues, and lost $4.9 billion (US Post Office fast facts, 2013). 51% of mail volume and 26% of mail revenue is Standard Mail. At an 80% junk rate of Standard Mail, 65 billion pieces of junk mail generates $14 billion of junk revenue for the Post Office (US Post Office 2013 10-K). Now from an environmental perspective, mail order catalog companies shipped 19.26 billion catalogs in 2007 to generate industry sales of roughly $100 billion, or @$5.00/delivered catalog. These catalogs were made from approximately 8 million tons of wood or 64 million trees (Conservatree ton to tree conversions for different types of wood) at a wood market price of $13-$16 billion (MSU Knight Center for Environmental Journalism, 2008). 64 million trees produces enough oxygen to support 32 million families (@4/family or 40% of 2014 US population) and stores carbon dioxide for 6 million daily car commuters (Tree Facts). We need to own our environment by taxing mail order catalogs and junk mail to fund Post Office unfunded liabilities in the near-term and nudge industry to embrace on-line catalog distribution as soon as they wish. 1. Levy a $1 surcharge/mail order catalog: $20 billion of revenue. I understand the proposed tax penalizes the mail order catalog delivery model but industry can reach existing customers with email promotions and run paid search programs to drive new traffic to their on-line stores. 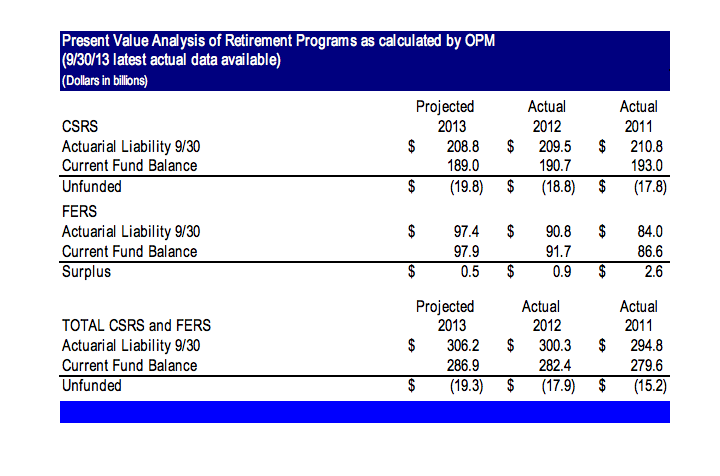 $20 billion new revenue fully funds the total present value unfunded liability of the current Post Office retirement program. Mail order companies could elect to pass this tax on to mail order customers willing to pay it. 2. Cut home delivery to 4 times/week from 6 times/week. 1.1 million people are employed by US Post Office as federal employees generating 1.1 billion work hours, $41.00/hour in total compensation or $82,000 all-in compensation and benefits cost/full-time equivalent. The Post Office should be able to reduce headcount by 33% and still provide basic home mail delivery services. Such restructuring would reduce compensation and benefits expenses by $15 billion/year plus save $1.1 billion in highway transportation costs. This should also allow for real estate consolidation and property sales. (US Post Office 2013 10-K filing). The mail order catalog delivery tax could also provide severance funding and job re-training services for terminated employees so they could find stimulating employment in high demand service sectors such as medical home services. 3. A social entrepreneur should create an on-line opt-in advertising portal in which consumers can elect to receive mail order catalogs and promotions in exchange for an annual payment from each catalog vendor. Consumers could pocket the cash or donate to a charitable cause. I receive @7 catalogs/day or roughly 2,000/year that must cost $1.00/mailing in postage and another $1.00 (paper + production cost) to produce. I would happily sign up to receive $2.00/catalog delivery, and donate the $4,000 to worthy charitable causes. The US Post Office would become much smaller, leaner, and more profitable focusing more on premium mail delivery services. These changes would also start saving 64 million trees at $13-$16 billion cut cost, which generates oxygen for 32 million families per year and absorbs carbon dioxide for 6 million commuters. Walter, good friend. At my advanced years I get confused easily. Consuming trees is bad? They consume carbons. Breathing their oxygen is good? Golf courses are cutting down oxygen producing trees to save water, when trees help produce oxygen, water, reduce carbons? Trees consume what? My last country club wanted to cut down trees to conserve water. Preserve the invronment. Trees don’t grow without water. co2? really confused. Why doesn’t Cali cut down all those trees that burn forever every year consuming oxygen, producing carbons, and wasting water? Just this week watched Pinehurst being praised for cutting grass, trees, using less water making a really historical course look ugly. Had the privelege to play #2 in 1997. Unplayable under hard dry conditions. Now it needs to look like St. Andrews. Not sure of the last forest fires in Carolina. I have mentioned before an interstate waterway system. If we can pump oil and gas crisscrossing the nation, we can pump water to support people, farmers, minimize flooding and losses. I’m not nearly as familiar as you are with the details but it seems to me that the post office is probably actively pitching their junk mailing services to LL Bean and Pottery Barn as a means to generate revenue yet the post office doesn’t have to live to their bottom line. My suggestion is to require that the post office be break-even every year. The market will dictate what it is willing to pay for services and the post office will figure out what they can/have to cut to get cash flow neutral. Larry, Biology 101. Trees both generate O2 and store CO2. Win-win. Cut a tree down and you lose both. Lose-lose. I receive $4,000 of post office revenue every year in junk mail. I’d love to redirect that value to a worthy social cause versus subsidizing losses at Post Office and destroying our envrionment.